Prop. 1 would have replaced an ordinance adopted in December that required TNCs to conduct fingerprint-based background checks. 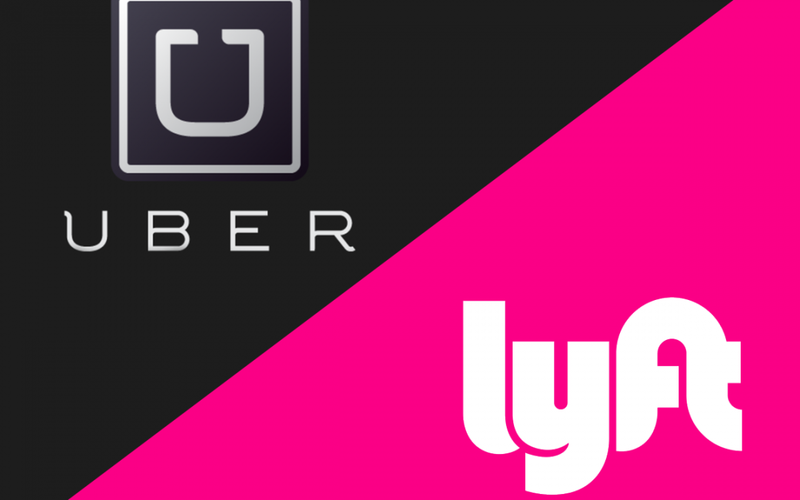 Both Uber and Lyft have argued in the past that their own background check systems are sufficient, and that fingerprinting is unnecessary and not as comprehensive. Uber and Lyft reportedly spent an unprecedented $8.6 million on their Ridesharing Works campaign asking voters to vote for Prop 1. Given that Uber and Lyft are such recognizable as companies, have loyal users, and spent so much money on campaigning, how could they possibly have lost by almost 12% in this election? As a loyal Uber user since the black car service was available in Los Angeles, I’m a huge fan of the company and love the work that they do. However, they completely butchered the way that they presented their campaign to the City of Austin and came across as incredibly corporate, attempting to weasel their way into our city by not playing by our rules. And this is coming from someone who supports them, I can’t imagine the worse insults heralded by their opponents. I think the corporate takeover can best be described by the amount spent for both campaigns. As mentioned previously, Uber and Lyft reportedly spent $8.6 million on their campaign. However, the opposition spent closer to only $200,000. Uber and Lyft had the resources to call and text anyone who has used an Uber/Lyft enough in Austin to be considered a potential voter. And believe me, over 20 texts and 4 phone calls later, they definitely did not give up on that form of marketing. No matter how many times you hung up or told them you weren’t able to vote (out-of-state student right here) they honestly didn’t seem to care. They just kept going (and are currently being sued for it). It got to the point where, even for me, I was inclined to vote against Uber/Lyft just because of how fed up I was with them bothering me. They really played up their “corporate” power, making opponents against them start asking for voters to “Stand Up for Austin” and telling them that we “Shouldn’t Be Bullied”. Uber/Lyft also had a ton of social media advertisements, a Snapchat filter, flyers I received in the mail, posters/signs everywhere, etc. It seemed like the companies were taking over our lives in Austin, which for the city known as being “weird” made a lot of residents freaked out. The whole foundation of Austin is resisting corporate rule and the status quo. Uber and Lyft also did hardly anything to convey why voters should vote for Prop 1 as well. In every advertisement I saw, the companies never explained how helpful Uber and Lyft can be for a city, how many people they employ, drunk driving statistics before/after their existence, etc. Uber and Lyft instead opted for a well-designed but incredibly broad campaign, never really going into details about any specific benefit. Voter turnout for Prop 1 was at 17%, with Uber/Lyft losing the election by 12%. Given the number of voters who showed up at the polls, Uber/Lyft spent $223.15 for each vote that they received. The reason why voter turnout was so low as simply because one of Uber and Lyft’s target markets, college students, really don’t want to take the time to vote. I’ll admit that people my age don’t care enough to prevent something like this from occurring, instead opting to wait until what they like is taken away from them for them to complain. It’s been fascinating seeing the backlash on social media following Prop 1’s decision, especially given that it isn’t statistically possible for all of the students complaining to have actually voted for the proposition. Uber/Lyft offered free rides to polling stations, but with the election taking place on a Saturday after finals week for many students in Austin, students simply didn’t want to take the time to actually go out and vote. Uber/Lyft should’ve spent more time educating students on how to vote early in order to increase turnout. In short, Uber and Lyft lost on Proposition 1 because they spent too much money in an inauthentic way in an attempt to woo voters and spread the word. While their intentions may have been pure, the result came off as annoying and confusing to the general populace. Even though voting itself was the most important action for Uber/Lyft, the companies spent hardly any time informing busy students (through mediums that they use) how they could vote. I have no doubt that Uber and Lyft will be back in Austin soon, but until then, the real “losers” in this situation are the thousands of full-time drivers in Austin who have just been put out of work with less than 48 hours’ notice.